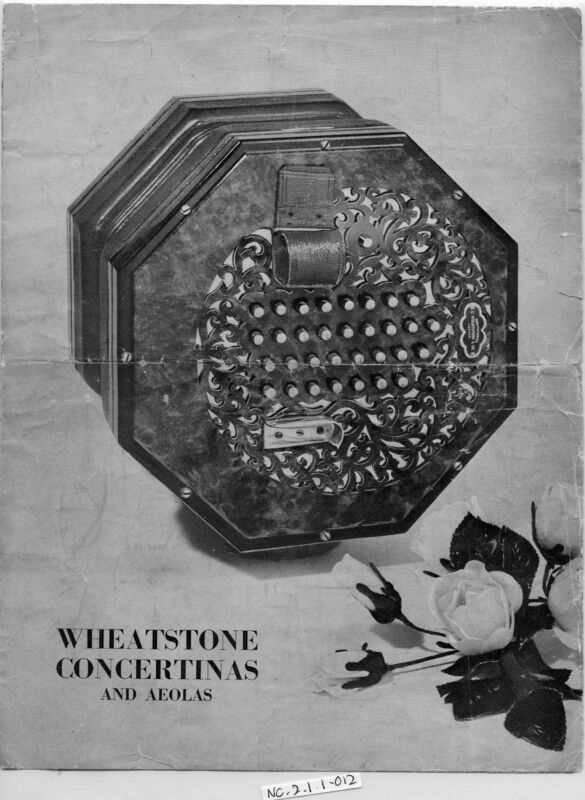 Full Description: From the Ruth Askew Collection.� A somewhat over-folded example of the quarto Wheatstone Concertina brochure and price list, published from the West Street address, but listing the factory and showrooms as at 3-5 Ives Street, Chelsea WC2. The front illustration is of a fine 64-Key amboyna and gold-plated Aeola English model. A further copy is in the Harry Minting Archives in the Collection, Item NC.2.1.1.1-075.